Create live sequences with in-depth modulation. 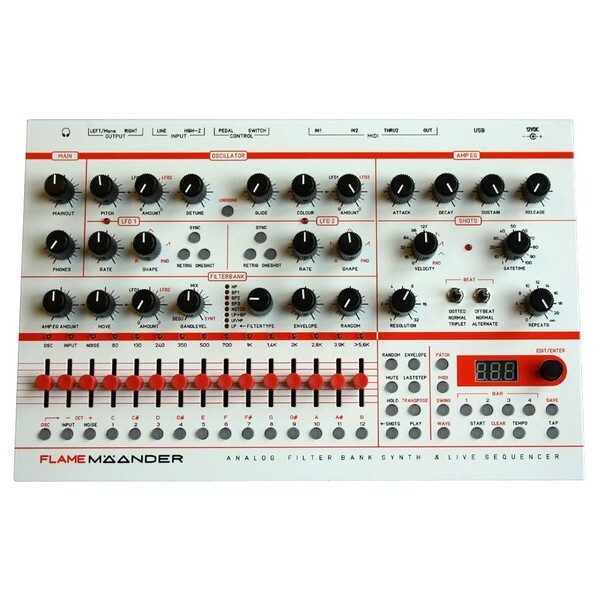 The Flame Maander Synthesizer & Sequencer is a four voice synthesizer featuring an onboard sequencer and analog filter bank. The Flame Maander is a highly versatile desktop synth featuring wavetable sound synthesis including 4OX wavetables and individual filter/amp envelopes. This allows you to get in-depth with your sound design. Create real-time patterns and sequences on the fly using the live sequencer and take your performances to the next level. 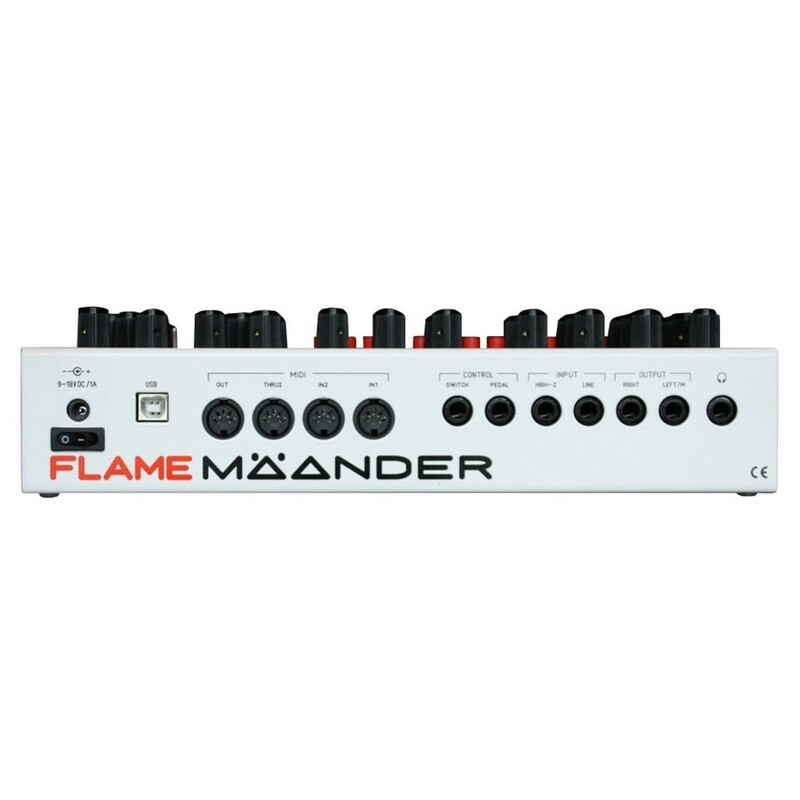 The Maander Synthesizer also features USB/MIDI connectivity so you can use it in music production in your favourite DAW. You can even morph between filter types for unique sonic results.